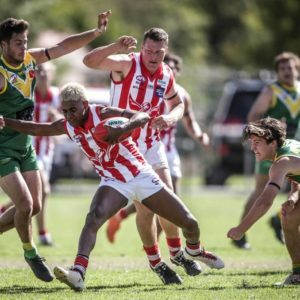 JINDERA put some indifferent lead-up form behind it to upset Osborne by eight points in the second elimination final at Walbundrie on Sunday. After winning only three of its last six matches, the Bulldogs recovered from a slow start to clinch a memorable victory. Trent Castles kicked the sealer and his 100th goal from a 50-metre penalty with less than two minutes left on the clock. Sam Myors, Jesse Harris, Mitch Lawrence, Harry Weaven and Dylan Pettingill were instrumental in Jindera clawing its way back from a 20-point deficit in the first quarter. “Osborne bolted out early so it was a really good win in the end,” coach Kerry Bahr said. “It was goal-for-goal for a lot of the match. “There is a good rivalry between Jindera and Osborne. “We’ve played Osborne seven times in the past two years. Jindera, who lost defender Michael Galvin early after a concussion test, were able to get back into the contest with Ryan Speed holding Matt Rava and Lawrence subduing Jamie Parr. Hayden Clark and Sam Rutland played well for the Cats. 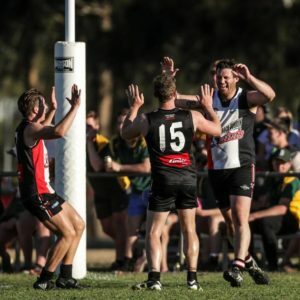 Holbrook celebrated its first finals appearance since 2013 with a hard-fought 17-point victory over arch enemy Culcairn in the first elimination final at Walbundrie on Saturday. With only three points separating the teams at the last change, the Brookers finished strongly by kicking 3.3 to 1.1 to emerge as a genuine finals wildcard. Holbrook came through the clash virtually injury-free with coach Matt Sharp confident the young Brookers will be better for the run. “We’re a young team and it was good for them to get a taste about what finals footy is all about,” Sharp said. “You have to play the full 22 minutes and time-on because if you give the opposition a sniff at any stage teams are good enough to kick two or three goals in five minutes. “We had to work hard. “I thought the first quarter was the key. Holbrook’s Josh Jones attempts to crash through a pack. The Brookers ran-out 17-point victors. 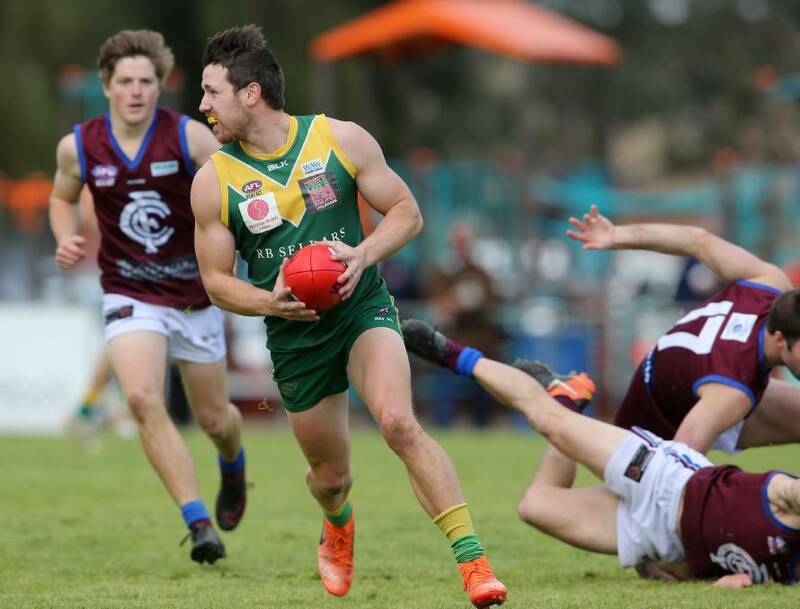 Holbrook banged on the opening four goals of the match through Andrew Mackinlay (two), Ben Talarico and Josh Jones before Lion Jye Shields kicked truly on the quarter-time siren to cut the deficit to 19 points. From there it was a slog with both sides squandering scoring opportunities. Ruckman Aaron Baker was named best afield after a consistent four-quarter showing with Brock Knights and Luke and Brad Carman not far behind. Mackinlay kicked 4.4 and Talarico bobbed up with two goals to be a surprise packet. 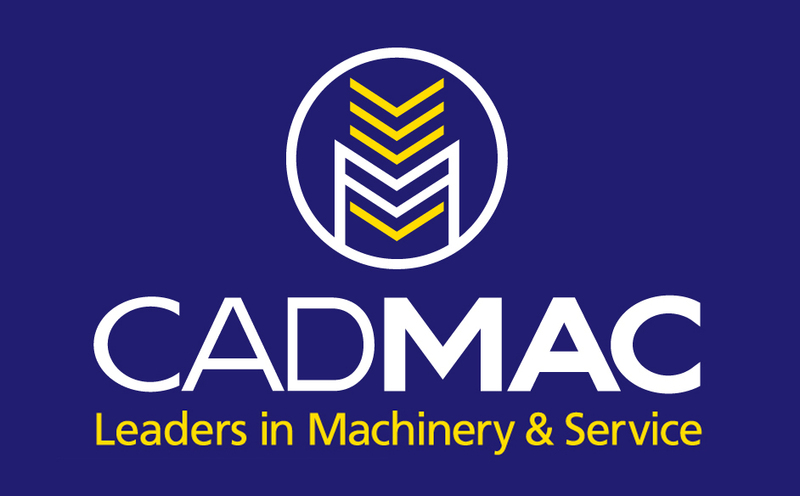 Culcairn’s fleet or running players in Dane and Tim Hallinan, Shields, Caleb Simmonds and Ben Gould were bold but lacked the support late to bring down the Brookers. Dennis Pedemont was the Lions’ only multiple goalkicker with two majors with Isaac Lampe giving him little room to move inside 50 metres. Andrew Taylor held Jamie Robbins to one goal.